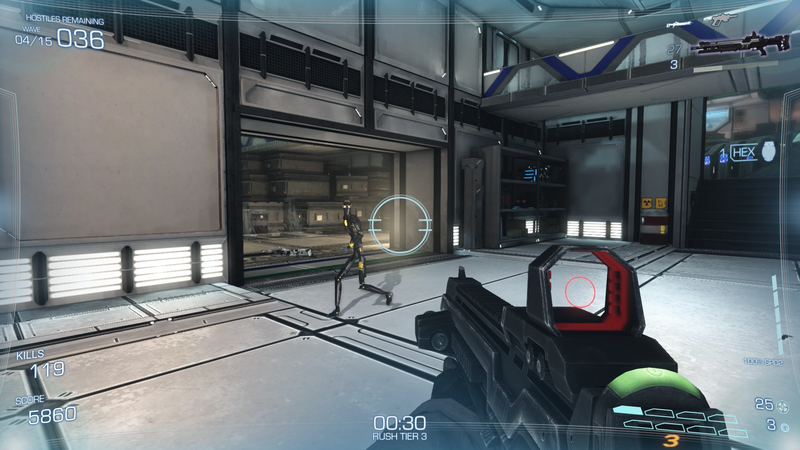 Final Rush is one of those “endless” first-person shooters where enemies come at you in waves until, well, your death. 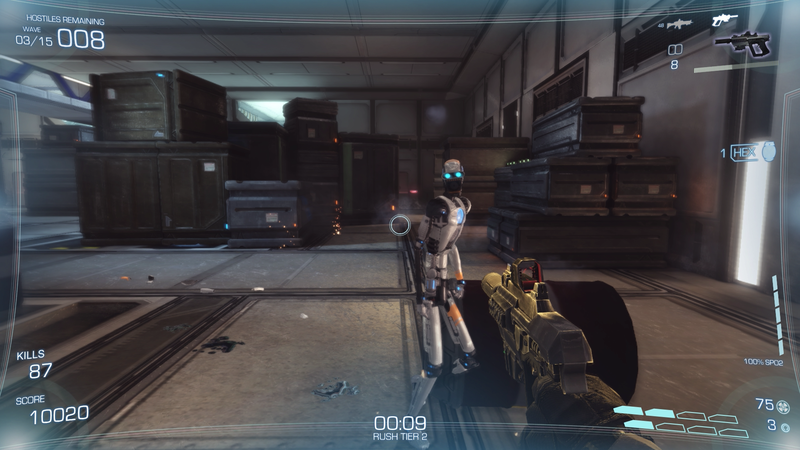 Just think Call of Duty zombie mode or Halo Firefight mode, but with robots. There are currently three maps offered, and, while that may not be a lot, keep in mind that this game is still in early access, so I hope a few of these problems will be fixed sometime in the development cycle. My main complaint with Final Rush is the multiplayer functionality. The game does have LAN play, but why does it lack online play? If you’re going to have LAN play, then there should also be online play. A friend of mine and I attempted several times to play the game using emulated LAN, to no avail. Online play is essential in games like this. Currently, the game has a few enemies and weapons to choose from (with plenty of upgrades, mind you), but there are plans to add more as time goes on. Bosses are also planned, which would be a lot of fun, can’t wait, although I’d place the multiplayer functionality as a first priority. Oh, I should also mention that there is no jumping in the game, as in, you’re grounded. Literally. It’s not really necessary, but jumping would be a nice addition. I’d also like to see some more graphics/video settings added to the options. Currently, you’re only able to change the game’s resolution, but other options (such as AA, Vsync, etc.) would be an excellent addition. Even in the game’s current state, I can still recommend it. It is quite fun, with all of the current weapon choices and upgrades, but I’m sure that it would be made so much better if online multiplayer could be implemented.